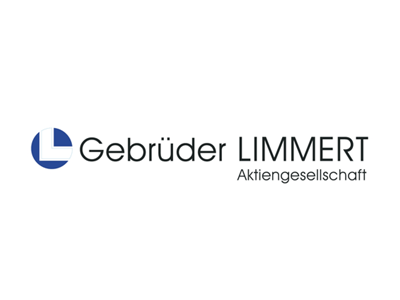 With an inventory of around 25,000 items across 14,000 square meters, electrical goods wholesaler Gebrüder Limmert AG is a market leader in Austria. The successful family business is also renowned for its exceptional customer service—and has been since it was established in 1924. That tradition of excellence was continued with the 2017 relaunch of the Limmert website and all associated touchpoints. After comparing several leading e-commerce providers, Limmert opted for a revenue-based license with Intershop. The key attractions were the exceptional adaptability of the Intershop platform and its omni-channel capability. The project was implemented, and is hosted, by Intershop partner 4friendsonly AG. Limmert has an online inventory of more than 1.3 million products. Since Limmert was founded in 1924, it has combined sustained growth with exceptional customer service. Limmert has approximately 160 employees and annual revenues of more than 60 million euros. With an inventory of around 1.3 million products, the Limmert online store required a powerful platform and new web design—cleaner, faster, and more user-friendly. It was also necessary to make all shop features fully available and easy to use on smartphones and tablets (responsive design). In addition, the store required a seamless interface with the inventory management system in order to show product availability in real time. The entire online store was redesigned using Intershop 7 B2X Edition, with a number of target group-specific features being added. The shop is integrated with the SHCware inventory management system. This enables Limmert to manage orders directly in the customer’s account area, to import products, and to manage returns (RMA). An app for iOS and Android enables users to re-order items by simply scanning a barcode (EAN, Datamatrix). Extended shop functionality, e.g., customer-specific pricing, calculation of various product-specific surcharges or discounts, and residual stock management. Option of creating additional sub-accounts for individual customers and assigning special rights, e.g., price display, order authorization, and order budget limits. Theme-based product categories where customers can order items directly. Additional product and marketing content is inserted dynamically. We want to secure the company’s success over the long term. The goal of using a marketplace based on Intershop to expand the digital division is to meet the increasingly tough requirements in a multi-channel market and to give customers one of the world’s most cutting-edge e-commerce solutions. What’s more, it is important that we partner with a strong provider so we can set standards of innovation in the future, too.